Place the leafy vegetables in the water for about 1 minute or until it begins to soft. 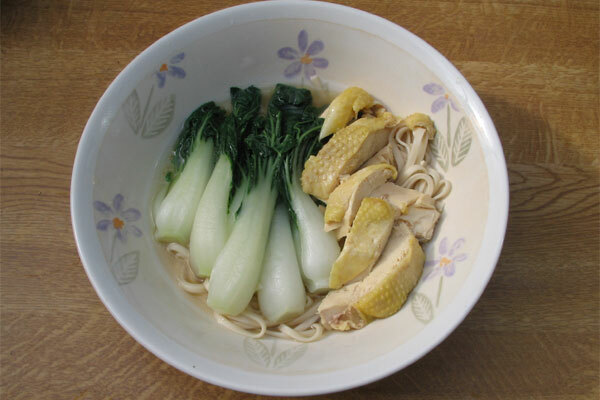 For the soup base use a flavouring agent such as chicken or vegetable stock and add soy sauce. Add 1 portion of dried noodles, place lid over, and cook for 1 minute . Pour it all into a deep bowl and serve with extra soy sauce to taste as a table sauce.